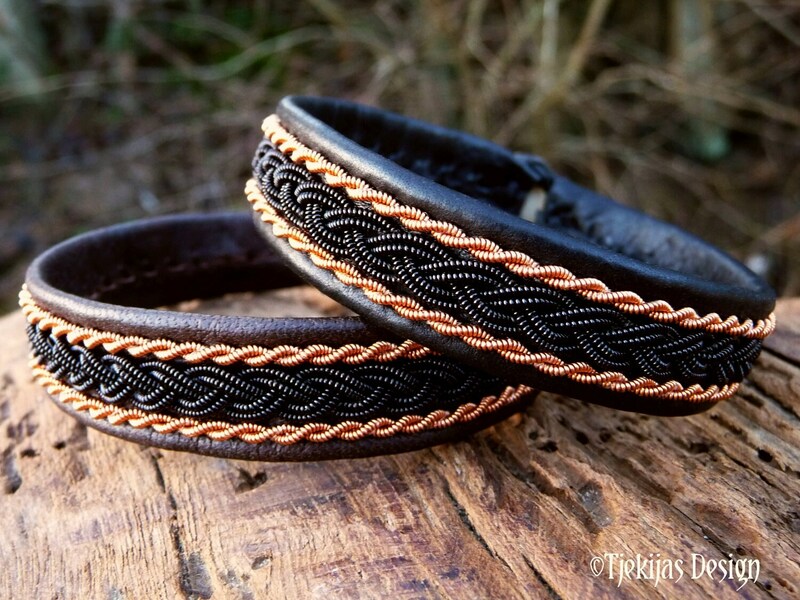 Sustainable reindeer leather or lambskin, decorated with black copper and copper braids. 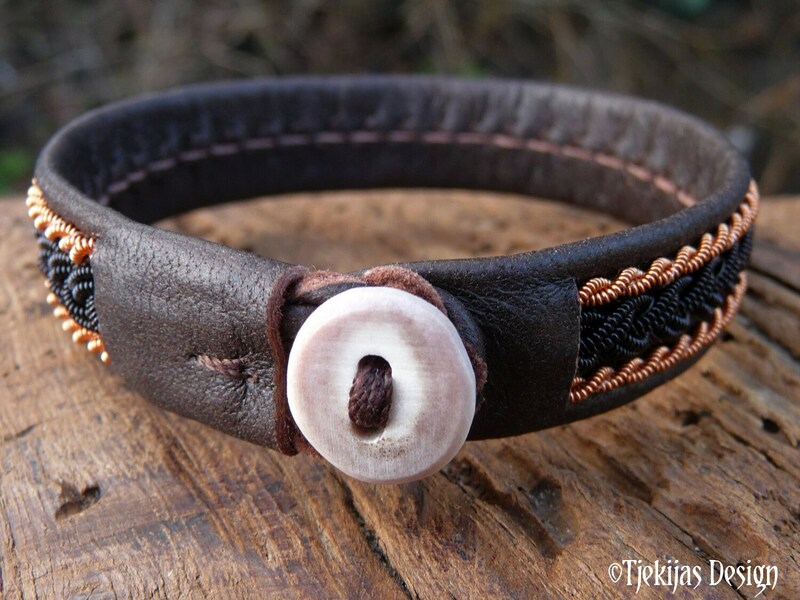 Completed with a hand carved reindeer antler button. Design: MJOLNIR - The hammer of God Thor, which never fails it's target and always returns to him, in Norse mythology. 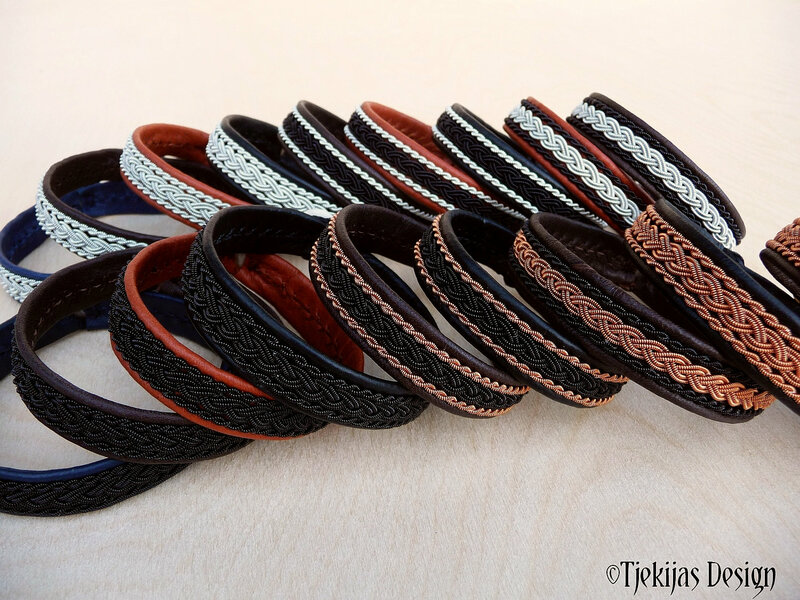 Your new Mjolnir Sami bracelet normally ships within 3-4 days from received order. 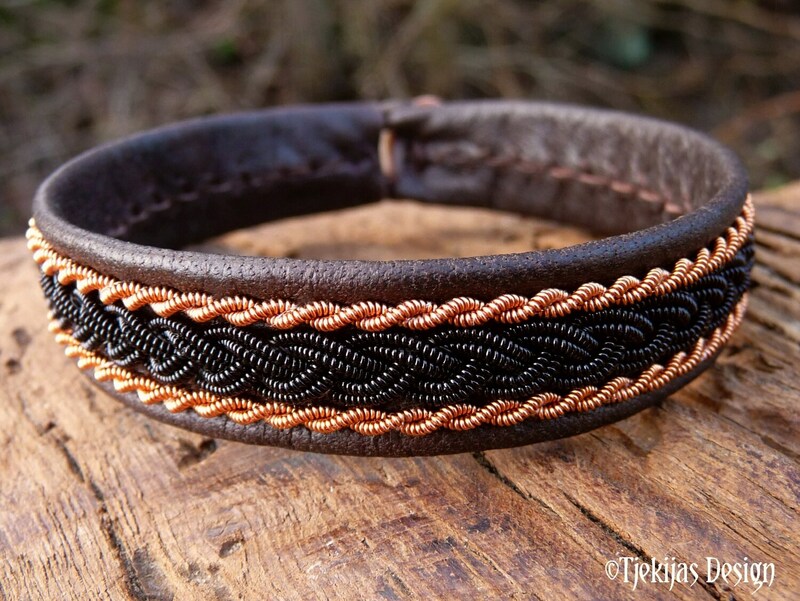 This bracelet is gorgeous. 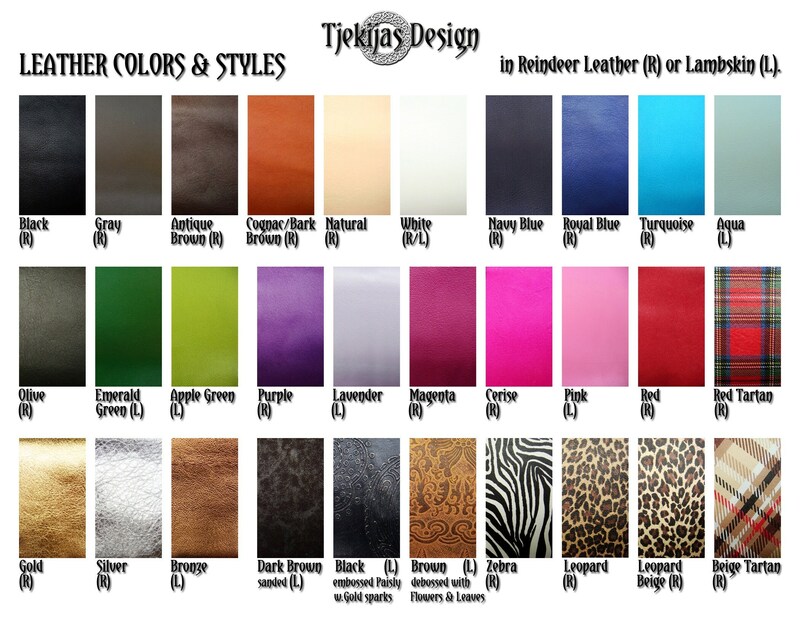 I ordered it for a friend's birthday and am so thrilled with my choice. I know she'll love it. It looks so classy and is so different to the usual people are wearing. 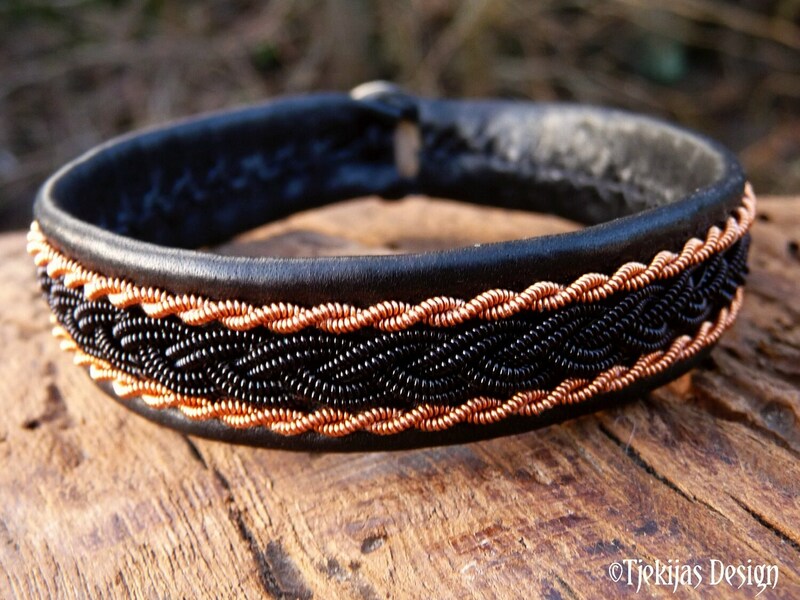 So many people have complimented me on this bracelet. I was concerned it would be difficult to close and open but it is really easy. 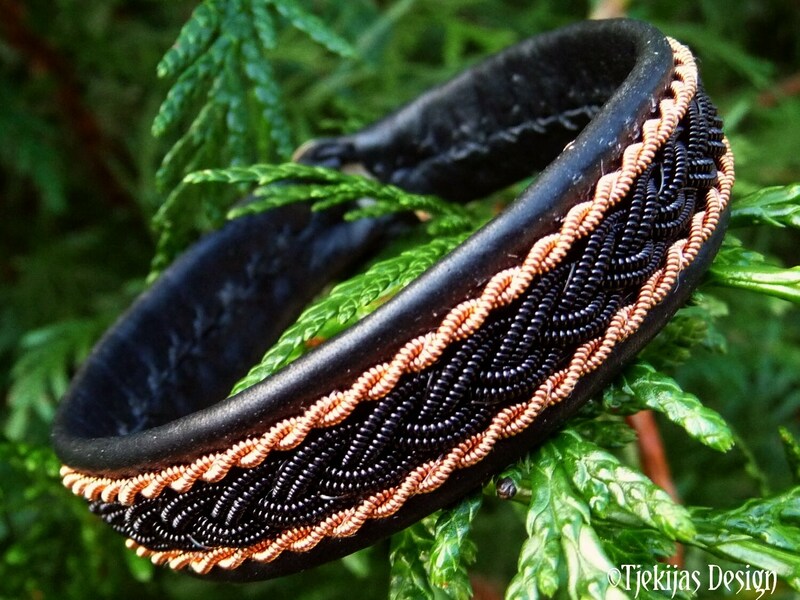 She makes the most exquisite Sami bracelets of anyone!